Ayomide has been a blessing to many people with her unique sound across the nations. 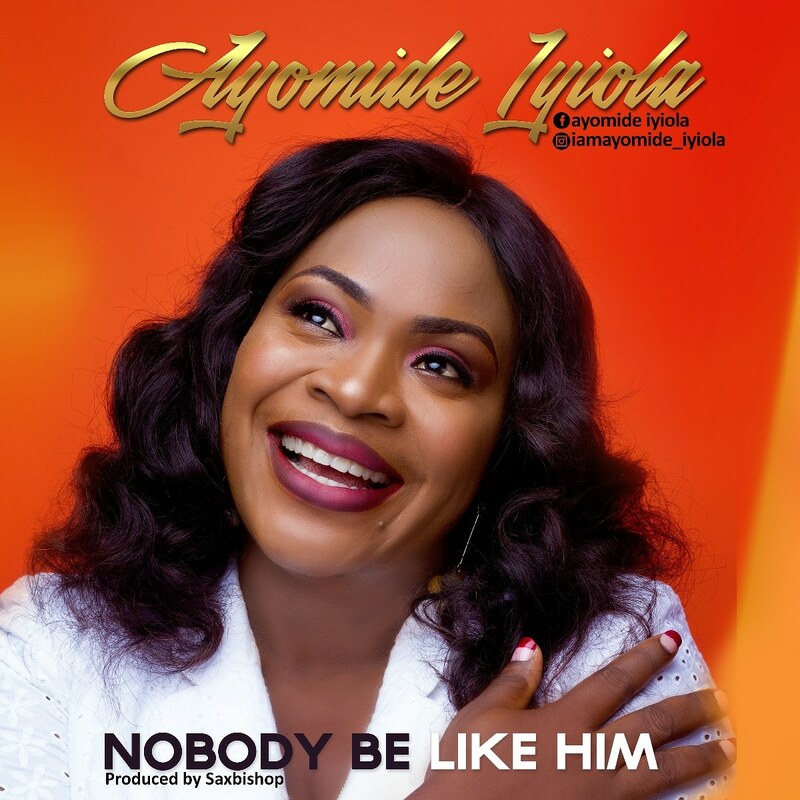 She has released another burden lifting song title “Nobody be like him” This song is a praise song, eulogizing God’s uniqueness, greatness and unusual nature to lift anyone cast down. This is a Follow up to her debut single released in 2014 titled “Mighty God” which was a favourable success. Ayomide Iyiola is a minister of the gospel who ministers gracefully and powerfully with her voice. She has been leading Worship since 2002 and she has served in various capacities in several ministries such as the Day Spring Family Church, Daystar Campus Fellowship (Olabisi Onabanjo University Ago-iwoye) where she obtained her BSC in Political-Science. She also served in Daystar Christian Assembly Healing streams of God Choir and Praise Team, Jehoshaphat Army Praise Band Lagos. She is currently one of the Worship leaders at WhiteOlive Christian Assembly, Alagomeji Yaba Lagos under the leadership of Pastor Tunde Adisa. She is inspired by great ministers like Maranda Curtis, Kari Jobe, Bukola Bekes, Tasha Cobbs, Nathaniel Bassey, Tope Alabi, Sinach to mention but few prominent inspirational ministers. She is joyfully married and blessed with glorious children.